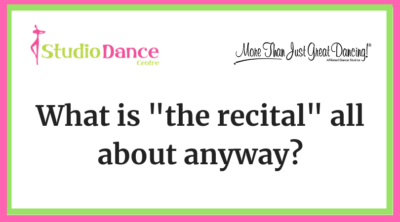 We are just a couple weeks away from the recital, can you believe it!? With that in mind, we’ve created this checklist to make sure you’ve prepared, planned, and packed! And of course, we are just a phone call or email away if you have any questions. First things first: find a few quiet minutes to review your recital information. This is absolutely our #1 request because you will not only feel informed, you’ll have peace of mind! Our team spends hours making sure we’re organized behind the scenes, and we want you to be caught up on all of the pertinent details, especially arrival/dismissal times and security precautions. If you have guests outside of your immediate family who are attending the show, make sure you have shared with them the need-to-know info, particularly about tickets, parking, and audience etiquette. In the days leading up to the show, encourage your dancer to keep a balanced schedule: help them get lots of rest, healthy snacks, plenty of water, and make sure they aren’t putting too much stress on themselves from school or dance. 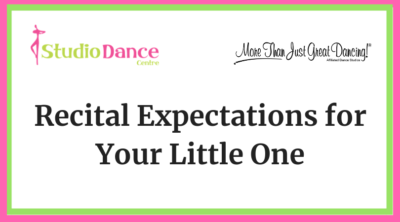 Even young dancers can internalize outside pressures, and we want to keep recital preparations feeling fun and exciting for them. Label everything! 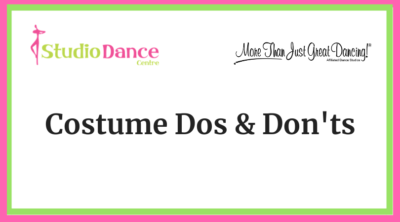 Add your child’s name or initials to the tags inside their costume, tights, shoes, and any other important items in their dance bag or garment bag. An easy way to do this? Write on a small piece of masking tape or painter’s tape and stick it inside the item. 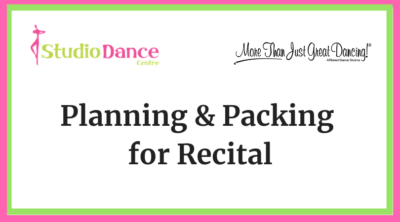 Consider packing a small “backstage” kit to keep in your child’s dance bag. Add in any supplies that might come in handy at the last-minute, such as safety pins, Band-Aids, cotton balls, hair spray, or bobby pins. A spare pair of tights doesn’t hurt either! Remove your child’s nail polish prior to the big day (it can be distracting from the stage) and have a practice session with their hair and make-up. Not only is this fun, it will ease any nerves you have about making sure they are confident and ready-to-go! Before leaving the house for the recital, make sure your dancer’s costume, tights, shoes, and accessories are packed! This seems obvious of course, but in the busyness of the day, it helps to double and triple-check before heading out the door. Remember to leave valuables at home so they will not be left unattended in the dressing room. And hey, don’t forget to give yourself a pat on the back for being an awesome parent! We truly have some of the most attentive, involved, and supportive parents (and grandparents) here at SDC, and we’re happy you’re one of them. We appreciate your dedication to your dancer at this extra-special time of year! Also helpful? 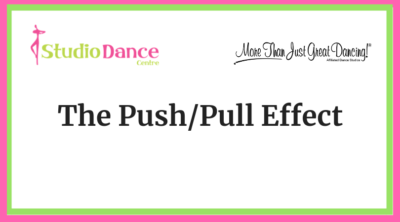 Encourage your child to ask questions if they’re not sure about something in the dance! Our teachers welcome their communication so we can make sure everyone feels confident. The excitement for recital is HUGE for some dancers and a little scary for others. Keep the conversation going at home by supporting your dancer’s efforts to practice without any added pressure. We want to keep their spirits high and their insecurities low! What’s an invaluable life skill that everyone needs? Teamwork! And dancers must do a lot of it. By working with their classmates on a group performance for the recital, our dancers of all ages learn how to work together to create the best possible result. As you’ve probably seen in class, it’s never too early to begin developing teamwork skills. At SDC, even our preschool students are learning how to follow the leader, make a circle, or change spots with a friend—all skills that they build upon throughout the season and may demonstrate in their recital routine. As our students mature, they also begin to see the importance of reliability on each other—that as a group, they are helping one another pave a successful path to performance time. 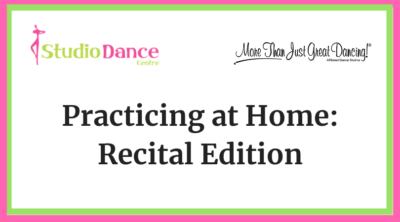 The process of learning a recital dance and practicing together becomes just as important as the final performance itself. Throughout their educational journey, your child will likely be involved in quite a bit of teamwork. And eventually when they enter the workforce, their teamwork skills will be put to the real-world test. Being able to collaborate on ideas and cooperate for solutions, presentations, and shared goals is something everyone will encounter at some point or another. Through dance, our students are already developing a comfort level with this type of work! That’s not to say teamwork is always easy. While practicing their recital routines, our students are understanding how to recognize each other’s strengths and communicate effectively. Different learning styles and personality styles mean that teamwork can be tricky to handle at times, and there may be bumps in the road. But learning how to navigate those bumps now, at a young age, is a major advantage! And with our experienced instructors guiding the way and nurturing these skills, we know our dancers will grow to excel in any teamwork environment. We like to say that “dance friends are forever friends” and we think teamwork exemplifies this in every way. Through their cooperative efforts in class and onstage, the dancers are also developing a camaraderie and support system. When our students learn and grow alongside each other, sometimes for years and years on end, they form connections through their shared experiences—and their shared love for dance. The bonds created through teamwork are truly immeasurable. At SDC, we have seen just how necessary—and how meaningful—these group bonds can be among our students. 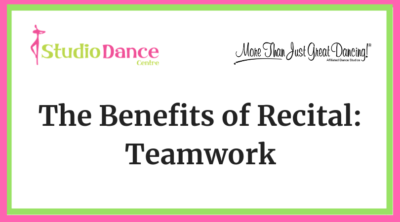 And there’s no better place to see teamwork on display than at the recital! SDC’s Spring Concert is known for creating special memories—both for our dancers and for their family and friends. It is a sentimental moment in time for many parents, watching their child perform in front of an audience! For most of our dance families, it marks the closure of one year’s journey in dance and “sets the stage” for the next. One comment we often hear from parents after the Spring Concert is how their child won’t stop talking about it! The excitement lifts them up long after the curtain has come down. We love hearing about this kind of enthusiasm, and we hope you’ll keep the dance conversation going at home. 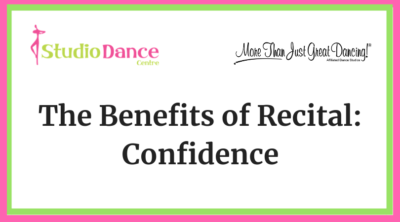 This is an excellent time to listen to what your child has to say about what they liked best or what was challenging, PLUS it’s perfect timing to discuss what style of dance they may want to study this summer or next season. Whether it’s a young dancer performing for their first time or a teen dancer performing at the end of her senior year, achievements at the Spring Concert are incredibly special to celebrate. 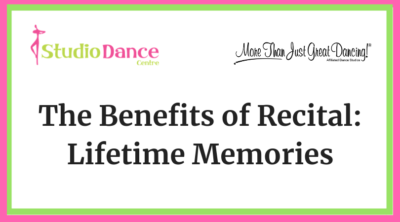 Lifelong memories are made—and for many dancers, a true passion for dance is ignited! At SDC, we talk a lot about the willingness to do the “hard work.” It is a quality we strive to instill in every student. Hard work, to us, means ALL the things a dancer can do to show their commitment to better themselves, improve their skills, and lift up those around them. We’re big believers in these words. Having talent can be an awesome attribute of course, but it doesn’t define someone’s future. What does define someone’s future is hard work put together with opportunity. And anyone can develop the skills and habits needed to put in the hard work! We want to teach every dancer to work toward their personal best, not perfection. Effort is the goal. As teachers, we are committed to fostering the traits of hard work in our students and offering encouragement in the moments where someone falters. If hard work is part of their dance life, our students might just carry it seamlessly into other parts of their lives too. It’s pretty awesome to see what these kids are capable of! Posted in Education on 02/03/2019 | Comments Off on What is the Spring Concert?